The ‘BAGUS’ – Bringing Australian Government Understanding to Students – program is an element of the On Award Enrichment Strategy. Scholarship awardees from civil service positions who have been on their scholarship for more than one year are invited to apply to participate in this 3-day program in Canberra, once per semester. The BAGUS program is facilitated by a governance expert, and comprises a series of presentations and workshops, covering topics such as: the Australian federal budget, Commonwealth/State relations, accountability, transparency, audit, public sector reform, merit-based recruitment, performance management and anti-corruption. Presenters include senior officers from a range of government organisations, including the Department of Finance, Department of Foreign Affairs and Trade, the Australian National Audit Office, the Australian Public Service Commission, Parliamentary Library, Department of Health, and the Australian Taxation Office. 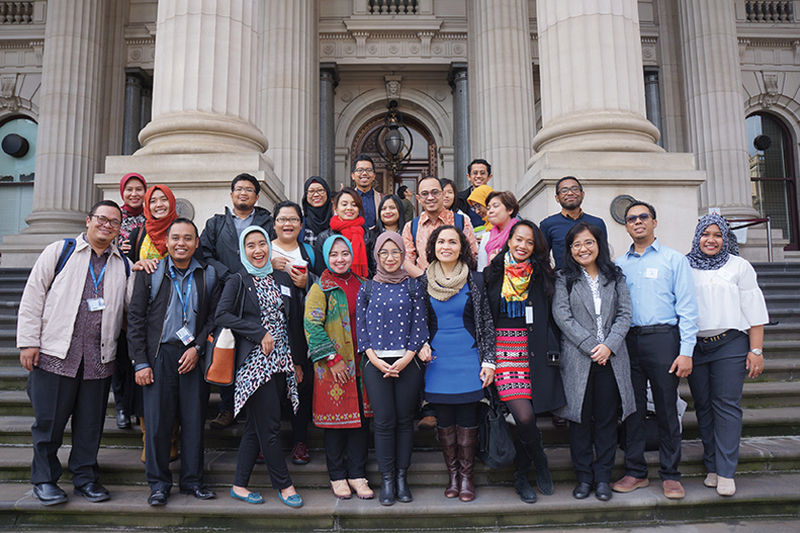 BAGUS participants appreciate the opportunity to learn about Australian government and parliamentary systems, and about how the Australian Public Service operates. They ask many questions, and get to form networks with each other, as well as with key contacts in Australian organisations. ”I obtained much more than just academic experience in Australia by attending this program, networking and sharing professional experience is important for my future career”. The participants also receive an Australia Awards Certificate of Attendance on the final day of the program.